On the Dec. 6 edition of America’s Work Force Radio, Dr. Maria Schiavone discussed the importance of cancer screenings and early detection. Dr. Schiavone, who specializes in Gynecologic Oncology at Holy Name Medical Center in New Jersey, stressed the need for cancer screenings, which could save a life. She said the earlier the cancer is detected, the more likely the cancer can be treated and a life saved. Dr. Schiavone was joined by a cancer survivor, who explained how early detection saved her life. The survivor urged people to undergo frequent screenings and keep in touch with their doctors. 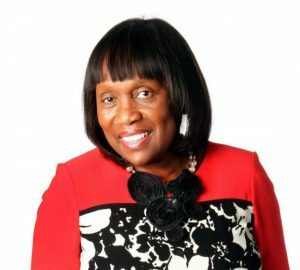 Yvonne Pointer was the second guest on America’s Work Force Radio and spoke about the death of her daughter, Gloria, who was murdered on Dec. 6, 1984 in Cleveland. Pointer confronted her daughter’s killer after he was caught and talked about finding strength through prayer, which helped her find her purpose in life. In the wake of her daughter’s death, Pointer launched two support groups, Positive Plus and Parents against Child Killing. She also discussed the Gloria Pointer Teen Foundation Initiative, which supports the education of West African children. 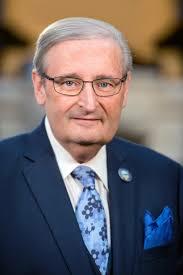 Ohio State Sen. Kenny Yuko was the final guest on AWF and talked about gerrymandering. He also discussed Ohio Issue One, which failed by 27 percent in the General Election. Yuko, a longtime marijuana advocate, said it is important to make sure similar future issues treat everyone equally and fairly. AWF host Ed “Flash” Ferenc talked about the action taken by Wisconsin Republicans during a lame duck session. This entry was posted in Union Radio and tagged America's Work Force Radio, AWF, Cancer Screening Week, Dr. Maria Schiavone, Ed "Flash" Ferenc, Senator Kenny Yuko, Yvonne Pointer by awfblog. Bookmark the permalink.